Protecting the health, safety and well being of our staff and tenants is important to us. Managing our Health & Safety activities is an essential part of risk management and forms part of the core principles of North Star’s business operation. North Star has a proactive approach to ensure customers remain safe within their homes. We ensure that we have robust policies and procedures in place to cover our health and safety responsibilities as a landlord. We employ specialised and competent contractors to undertake a wide range of annual and cyclical servicing to ensure the safe operation of equipment. Annually, we spend in excess of £775,000 ensuring that gas safety, electrical safety, fire safety; asbestos management and water safety is correctly inspected, serviced and maintained. These arrangements are managed by North Star’s Asset and Property Services team. 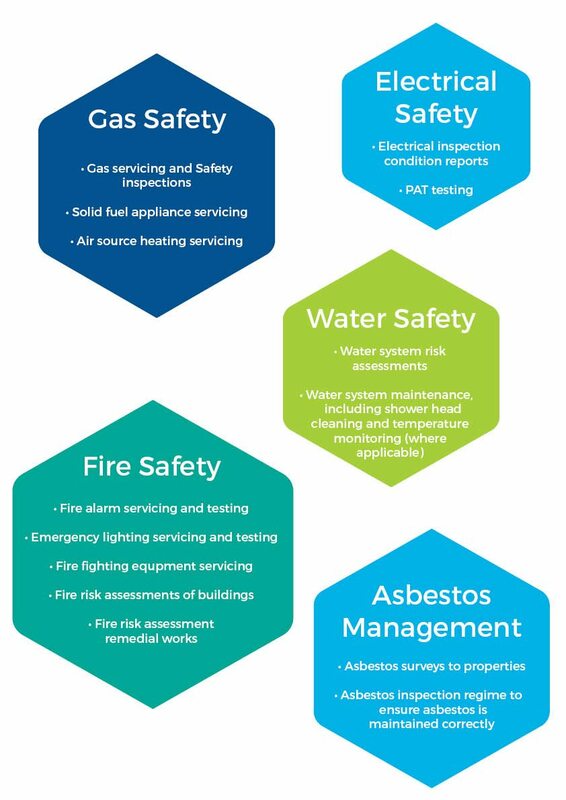 The performance within each of these areas is reported to the group’s Health and Safety Steering Group at each meeting and quarterly to Board. If you would like any further information on health and safety please get in touch.